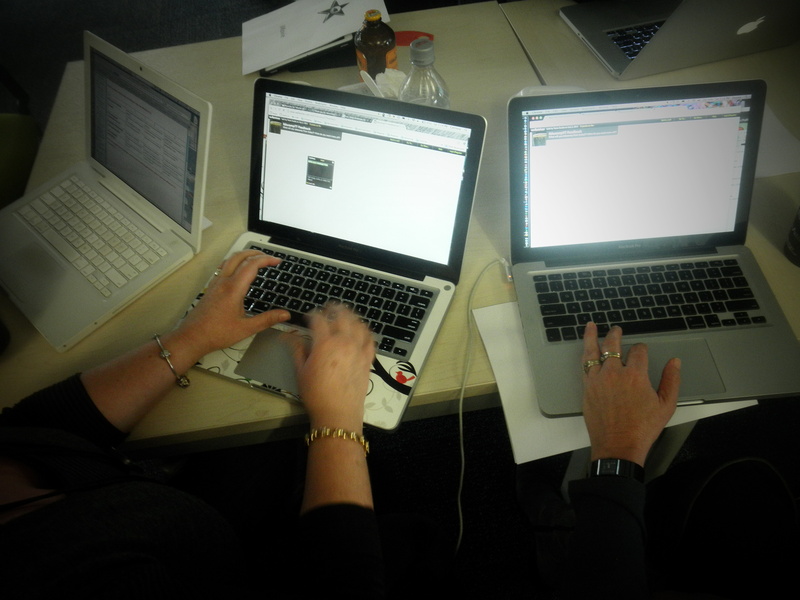 Something to teach, something to learn: why #educampakl rocked! I’ve gone to a few conferences in my time and have noticed that often the best learning takes place in the bar afterwards. Enter Educampakl. Based on the Barcamp conference, Educamps are conferences in which the participants generate the content for the day. I find it amazing that teachers will give up a Saturday to spend time learning and growing together. Nobody was required to be there, and yet we were there. Sure big conferences with key note speakers have their place, but there were plenty of high-level discussions from smack down to @taratj‘s awesome work on Minimally Invasive Education and google apps for teachers. However what I really valued was getting to meet people IRL that I had been interacting with online and playing with the technology. Going to educampakl also helped with operation job search insofar as the schools with teachers in attendance, in particular senior leaders, are now on my radar of schools I really want to work at. What is awesome about #educamp is that content is user-generated which means someone who has yet to graduate can make just as meaningful contribution to the teaching as they do in the learning. I might not be a digital native but definitely consider myself one off the first of the boat in IT. There are also teachers at educamp with many years of experience and I get to pick their brains on how to incorporate technology into teaching because they understand the teaching business far better than me. Educamp entrance is a gold coin donation ’nuff said. Educamps come with the freedom to walk out if the session is not serving your needs. I was mucking around on the periphery of one session when I got tapped on the shoulder by (@sumich I think) and asked if I wanted to have a go at a DIY garage band with a couple of ipads, a router and a speakers. How cool is that? I could have spent hours playing around with that app but nice ipad user wanted their device back. Being able to walk out of sessions got me to thinking. What would happen if students had the freedom to go to another classroom if my teaching wasn’t suiting their learning needs, would they stay? Would yours? Why don’t we do this sort of stuff more often? Ask yourself how much time in staff meetings/PD is based on procedural stuff delivered by lecture-style sessions and how much time is spent generating new ideas and trying out new learning tools? What would be a more effective use of teachers’ time? Are flipped staff meetings the answer or do geeks just learn differently? E-practice: stop moaning and just do it! A great day. Fantastic connections and ideas.